Residents of Ontario with auto insurance will enjoy more affordable and varied insurance options for their vehicles but may also have changes to their existing policies. The provincial government has reviewed auto insurance and issued 2016 Ontario Reforms that are in effect as of June 1, 2016. These adjustments were designed to protect consumers and allow insurance providers to offer better coverage options. To be sure the changes won’t leave you in a lurch, a consultation and review with your Durham insurance provider should be set up to make sure your coverage is still adequate. The good news is that these changes won’t create more work for those who are insured. When the renewal date for your policy arrives, you will receive more information from your insurance provider. 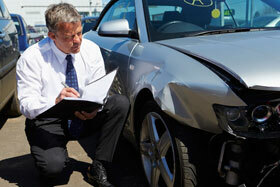 At that point you will be able to determine the best auto insurance coverage options for your renewal. However, you will want to review the changes below now and consider increasing your accident benefit limits to maintain the desired level of protection you need for you, your vehicle and your family. The changes to the statutory accident benefits are the biggest differences that will impact our clients. They should be reviewed in your individual policy as soon as possible since changes may be made. To learn more about the 2016 Ontario Reform changes and your particular policy, contact the team of experienced Durham insurance brokers at Petley-Hare. Medical and Rehabilitation and Attendant Care for Non-Catastrophic Injuries: This coverage has been combined and reduced, with coverage now extending only up to $65,000. Contact your broker in Oshawa to determine how your policy has been impacted. Medical and Rehabilitation and Attendant Care for Catastrophic Injuries: These have also been combined under a single category and coverage has been reduced as a result. What was covered up to $1,000,000 for each has been reduced to $1,000,000 for both. Optional Benefits for Non-Catastrophic Injuries: Options of $72,000 and $100,000 are eliminated under these changes and have been replaced with combined Medical, Rehabilitation and Attendant Care. This benefit goes up to $130,000. Contact your insurance broker to determine exactly how your optional benefits have been changed. Optional Benefits for Catastrophic Injuries: Optional benefits are no longer available and instead have been combined at $1,000,000. If you have already selected optional coverage up to $1,000,000 for injuries under either the non-catastrophic or catastrophic category, it will remain as is on your new policy. Speak to our insurance brokers to learn more about how these changes will impact your particular policy and premium. Petley-Hare offers comprehensive and customized auto insurance options to suit your lifestyle. Have more questions about the changes or your current coverage? Contact us today at 1-647-557-6653.